It's official. More Singaporeans are getting fatter. 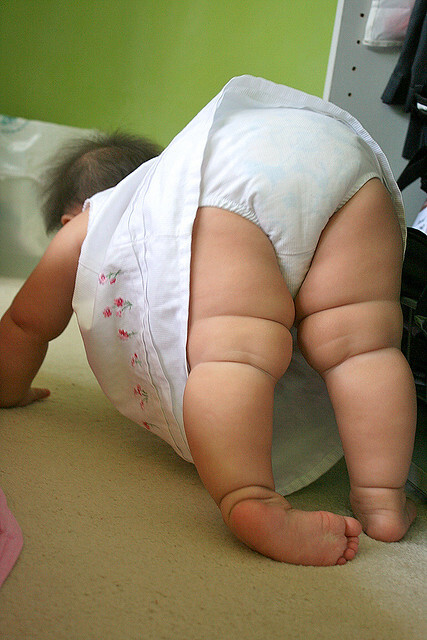 Obesity has surged from 6.9% in 2004 to 10.8% this year. One in ten of us is OBESE. Not just overweight, but more seriously, obese (BMI exceeding 30). While the obesity statistics aren't as alarming as those in some developed countries, it is an upward trend, and the Health Promotion Board (HPB) is not taking any chances. It's actively incorporating health programmes into workplaces, schools and even malls. Part of the National Healthy Lifestyle Campaign 2010 is HPB's effort to get the F&B industry to commit to offering healthier food choices (e.g. more whole-grain and/or lower calorie options). More than 200 food outlets are participating in the Healthier Restaurant Programme (see full list in pdf form). And here is the list of food court stalls offering lower calorie set meals. They prepare the healthier dishes with less oil, sugar and salt. Some are enhanced with more fruit and vegetables, or use herbs and spices to improve flavour. The dishes are identified by this logo, which most people know fairly well by now. The folks at HPB took media and bloggers recently on a tour of some outlets to showcase such meals. My main curiosity about the healthy dishes was obviously taste. Healthy food notoriously tends to be less tasty. We wouldn't have this obesity epidemic globally if healthier food was easier to love than their sinful counterparts. But we can condition our tastebuds to adapt to and enjoy healthier options if we eat them more regularly. Our first stop was Earle Swensens at Vivocity. Yes, there are quite a few chain restaurants and family restaurants in the programme. 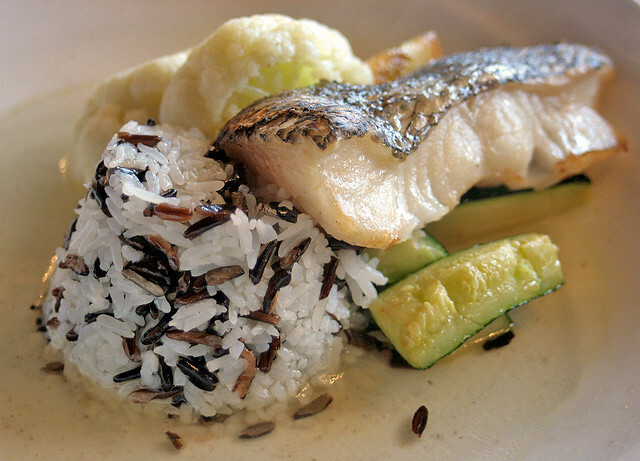 Grilled Cod with Wild Rice (S$25.90) - this set meal (including coffee or tea) comes up to about 600 calories. The wild rice is really pulut hitam (black glutinous rice). Overall very clean-tasting, with a lightly seasoned clear broth. The cod is nice, but it is even better when eaten with the rice somehow. This specially created dish is only available until 31 Dec 2010 though. Swensen's has also come up with lower fat ice cream, made with milk instead of cream. 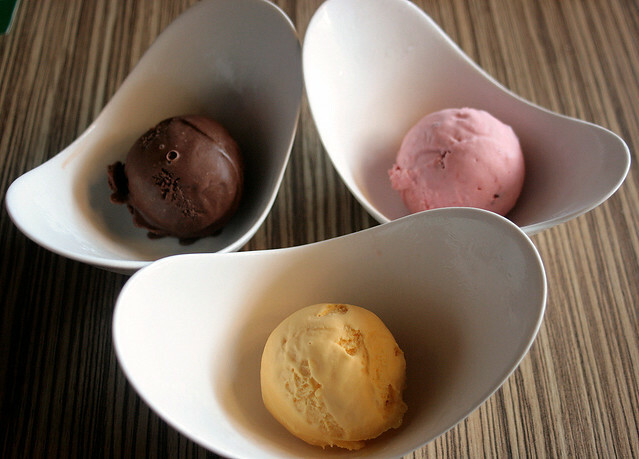 Only three flavours - chocolate, strawberry and old-fashioned vanilla are available. But we learnt that each scoop is still 200 calories! So what's the usual full fat scoop like? Closer to 300 calories! Well, there's no escaping the sugar even in low-fat versions. I have to qualify that this ice cream is a lot more dense than your commercial type that can contain a lot of air whipped into it. And clearly NOT on the HPB's Healthier Choice program is the Chendol Jubilee (S$49 before GST, total calorie count unknown! ), which the folks at Swensens just very kindly wanted us to try. 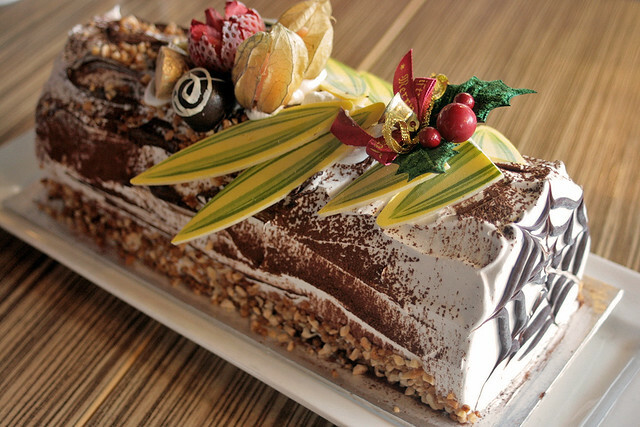 It's a log cake with rich chendol ice cream inside (complete with red bean and chendol bits), coated with a thin layer of sponge and cream, then dusted with crunchy candied crushed peanuts and cocoa powder. Yummy. I'd gladly take 2 years off my life for this. Moving along, we went to the Kopitiam food court at the basement of Vivocity. Fancy some healthier version of laksa? 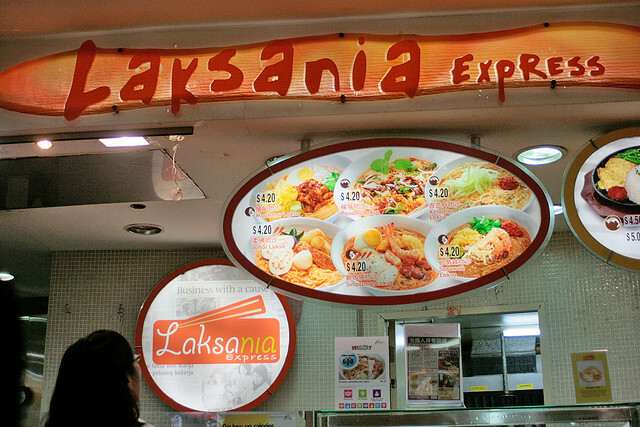 Laksania Express offers six regional types of laksa (Singapore, Myanmar, Johor, Penang, Kelantan, Sarawak, all S$4.20), and a lower calorie version of the Singapore laksa. We met Josephine Tan, the very cheerful business development manager. I also found out that this place has a good heart - they employ people with special needs. These folks may take just slightly longer, but are perfectly capable of executing instructions and routines learned. And the lower-calorie laksa is good! Laksania tried experimenting with various coconut cream substitutes, including soybean milk and evaporated milk, but the taste remained most faithful with UHT milk. What they have done is go full on with the dried shrimp and umami ingredients. We really enjoyed our tasting portions, and even slurped up the full size one meant for photography (above). Can you believe this entire bowl is only 600 calories (the regular one with coconut cream is closer to 900 calories). I think the bloggers all voted this as the one with highest taste ROI. I mean, it really doesn't feel like you're compromising (much) on taste at all. And you don't feel like you're eating something heavy. Josephine also let us try the coconut cream version for comparison, and it was very rich and flavourful indeed. However, you can feel the satiation coming with just one mouthful. I tried combining both broths (half-and-half?) and felt that was the best combination, flavourwise. 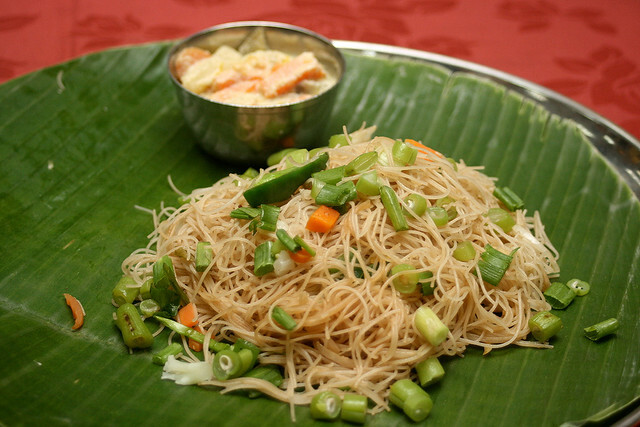 And they use beehoon which contains 10% brown rice - it's slightly off-white in colour, and has a gently nuttier taste and chewier texture. But very mildly so. I much prefer this to regular white-rice beehoon. Josephine also offered to let us sample the other laksas, but we had to pace ourselves. 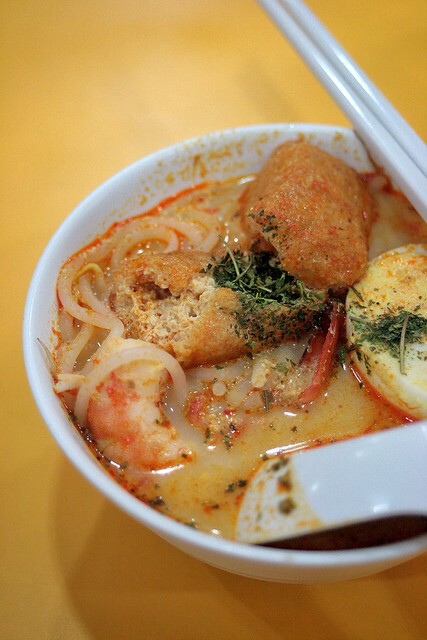 Still, we could not resist trying the Kelantan laksa broth - it's got lots of minced fish and some cucumber juliennes. Gently tangy and spicy, with a hint of lemongrass cutting through the creaminess. All her laksas taste different, and are prepared separately. I'm really glad I discovered Laksania, because I never know what to eat in these food courts. I'm definitely coming back to try all the other laksa varieties! 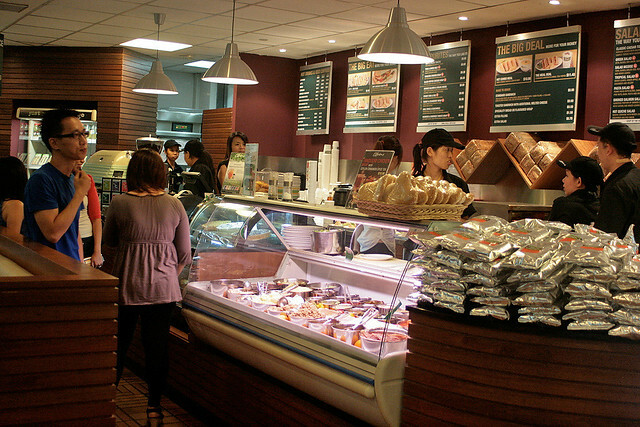 With happy tastebuds, we headed to Caffe Pralet next. Caffe Pralet (17 Eng Hoon Street #01-03/04 Eng Hoon Mansions - near Tiong Bahru/Outram Park) is a simple, cosy cafe in sweet pastels. Owner-baker Judy Koh runs baking classes next door, and sells many of the items she teaches at the cafe (to show students that the recipes yield saleable products). She also decorates the cafe with her own food-related poetry. 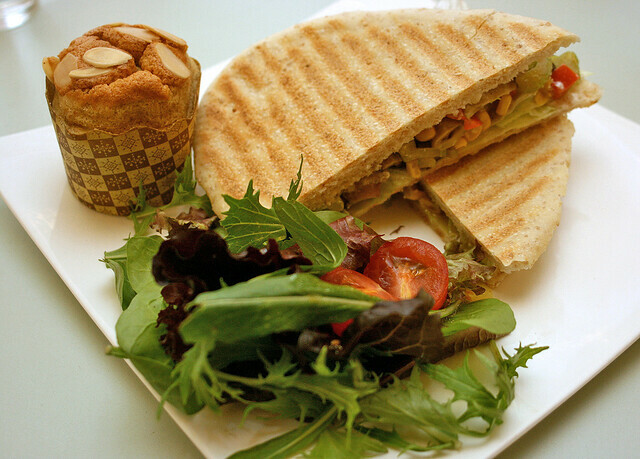 Crisp wholemeal panini with vegetables and sauteed mushrooms (S$12.80). Judy had to use atta flour to get the panini to be this light and crispy. This vegetarian sandwich tasted very homely, and I liked the taste of the mushrooms. The bread was thinner and and more crunchy than usual panini. Maybe this should be called the Skinny Panini! On the top left: a 100% wholewheat and 100% olive oil orange cake. We all agreed the cake was incredibly soft and fluffy, and it wasn't too sweet either. 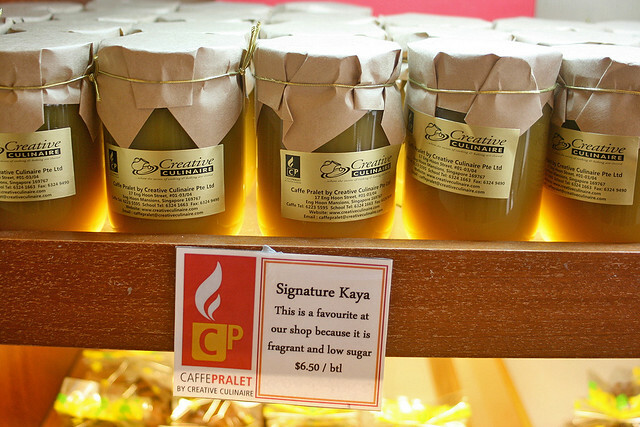 This is not part of the HPB food trail, but I noticed their kaya is also made with less sugar. It still looks no less tempting. Even Winnie the Pooh might be tempted! Next stop - O'Briens at Singapore General Hospital. 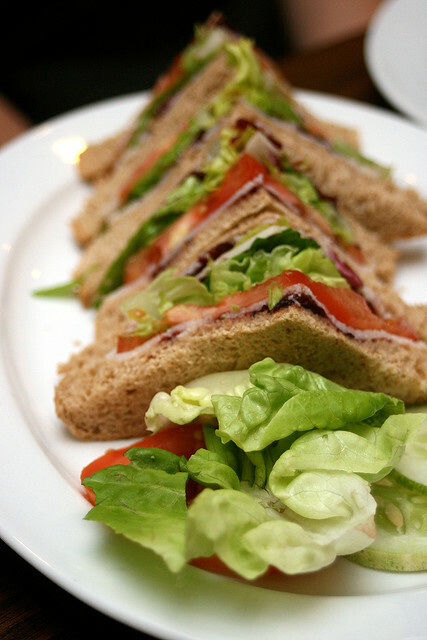 Once you get past the smell of Dettol, you can start admiring the array of sandwiches and juices they have. Just don't get distracted by the mayo-heavy options! Turkey cranberry on wholemeal bread (S$8.90 on its own, S$10.90 with box of fruit). Turkey isn't my favourite cured meat (obviously the unhealthy ones have my heart), so this was so-so for me. Portion is very hearty, and the greens were crisp. 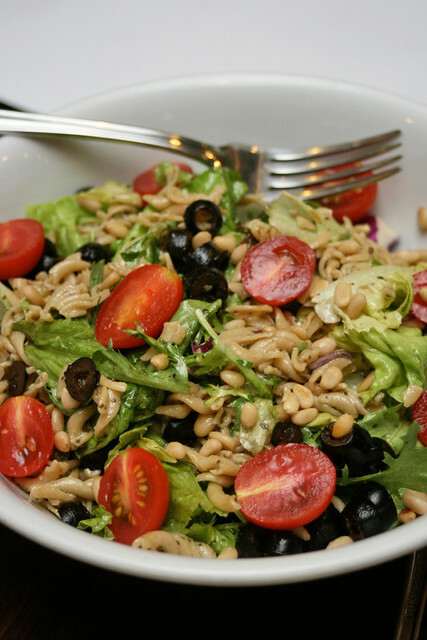 Wholemeal pasta salad (S$9.90 on its own, S$11.90 with fruit box) - this came in a huge bowl with sliced black olives, cherry tomatoes and fragrantly toasted pine nuts. Certainly a filling portion! I thought this quite palatable, and I even liked the olives. Some felt the dressing was a bit oily, but even so, it was still refreshing. 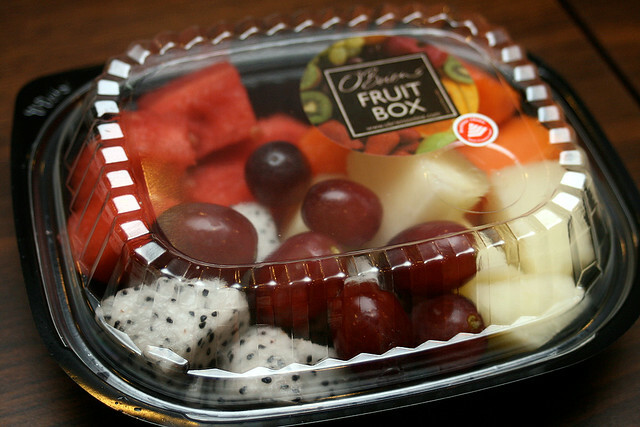 That's the generous fruit box, which comes with an assortment of ready-to-eat cut fruit. By this time, we also noticed a pattern in the eating habits of our group. The bloggers generally cleaned out the plates with wild abandon, whereas the dieticians and nutritionists practiced incredibly strict portion control (like one bite). We even wanted to help them finish their food! I guess we still have a long way to go, when it comes to dietary discipline! We were also starting to be full, but had one more stop - Indian vegetarian restaurant Ananda Bhavan at 95 Syed Alwi Road (opposite the crazy mega-growth machine that is Mustafa). They have two low-calorie set meals from now til 31 Dec 2010. Wholemeal chapati with vegetarian sides (dhal curry, daily stir-fried vegetable and salad) at S$6.45 inclusive of GST and service charge. 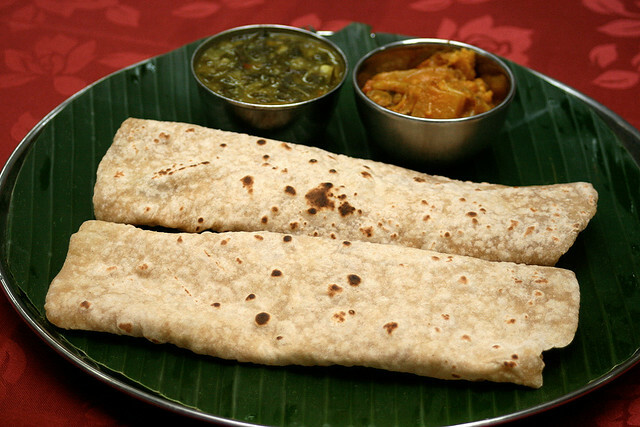 Chapatis have always been wholemeal, but just aren't as popular as their greasy cousins prata. I think they make a great change from time to time. Just that I love to eat them with mutton keema! Brown rice beehoon (250g) with daily stirfried vegetables (S$5.90 including GST and service charge) - very peppery and savoury. But I could hardly believe that this not-too-large portion of beehoon was 600 calories too (most likely due to oil used for stir-frying). I normally polish off double the amount at home. And we spoke of worse comparisons - the economy stall fried beehoon is usually a lot more greasy than this, in bigger portions, and complemented by an array of fried sides (ngoh hiang, luncheon meat, fried egg, sausages and whatnot). How many calories total would we be ingesting via that!? Even more shocking the casual revelation that fried fish soup has almost the same calories (over 700kcal) as char kway teow!!!! My gosh, how often I've opted for that soupy dish thinking it was a healthier option. But no, the few pieces of fried fish and the splash of milk completely tip the scale over. Counting calories can be a scary thing. But even if we don't keep count, it's good for us to be aware of the energy value of what we're eating. At the end of the day, I appreciate having healthier alternatives to choose from. Many thanks to the HPB for their wonderful company and insights on this tour. By the way, if you are keen to keep a food tracking diary, the HPB has an app for that. For both iOS and Android platforms. You can also follow the HPB on Twitter at @HPBsg. yes, i agree obesity is on the rise and with it heart disease and all sorts of other chronic diseases like diabetes. I do love that 1st shot of the baby though.. aw, so chubby so cute! Back to the post, i was surprised at the choice of food esp the curry laksa, then when i read that it was low fat, and employed brown beehoon, i was really impressed! talk about having your cake and eating it. If all eateries went this direction, it would make Malaysia and Singapore a healthier place to live for sure. Great article! Nice to hear and see a 'foodie' promoting healthy eating. Most importantly, healthy food isn't always tasteless. Now is the time to make simple changes to the way we eat to eat combat obesity. Ciki, yeah the laksa is amazing. Best of all, you don't feel jelak. I agree with your chapatti recommendation as a very healthy choice. I must disagree, however, with Swensen's. This restaurant chain has a terrible overpriced menu with mostly unhealthy recipies and their service is even worse...I have never seen such a consistently arrogant group of servers who basically throw plates of poorly prepared, foul tasting food at their customers. In the US, the Swensen's chain went completely out of business about 20 years ago and it's simply because the food was awful. I'm surprised the Singaporeans tolerate such bad food and endure awful service...is this some sort of local ritual to renact meal time at Changi Prison? Maureen: haha thanks! I originally wanted to use this picture, but decided not to, for copyright reasons. Anonymous: There are many things that boggle us, but I am merely showing the restaurants that have specially created healthier dishes to add to their regular menu. No matter what, that's still a step in a worthwhile direction, no? Hi, do you know what is the calorie count of the lower calorie set meals that the foodcourts and restaurants are offering? like are they all around 600 calories or more? 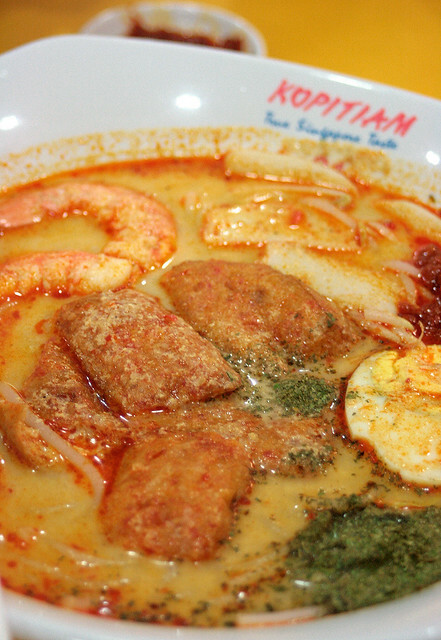 hmm the laksa stall sounds very interesting and you've got me hankering after cafe pralet again after a long dry spell! 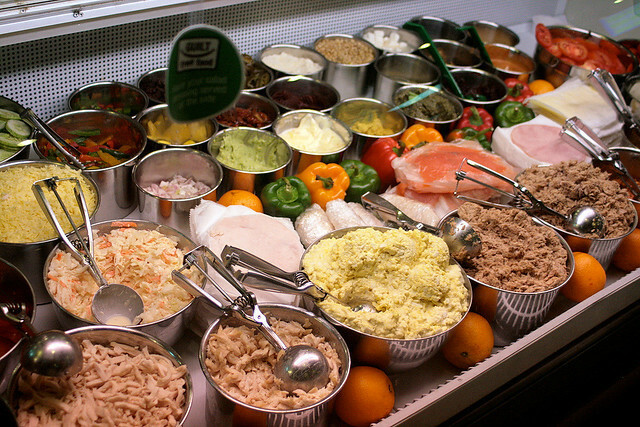 Why must healthy food be expensive? I would rather have my pork knuckles......like the one in your first picture. A little more browning and caramelising will be purrrrrrrrrrrfect. i think health food needs to be in the context of health cuisine. Coherent cuisines such as mediterranean, thai, or okinawan, makes it more authentic than to substitute items and sacrifice flavors. Ironically, this has to do a lot with marketing. It's a lot easier to sell a steak than a plate of fresh bread and figs. But reading your entry about getting preeclampsia, reinforced my realization that as a child of developing singapore when more was more, it's time to switch our ways of thinking. Etna - A Taste of Sicily? Royal Caribbean's "Legend of the Seas"